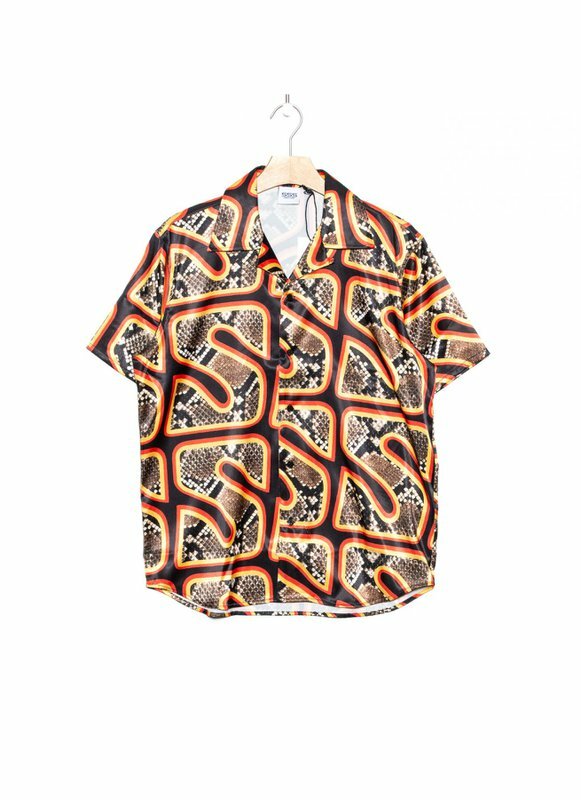 Short sleeve satin shirt featuring graphic pattern in tones of black, yellow, red, and brown. Button fastening at open spread collar. Button closure at front. Shirttail hem. Tonal stitching.